We’ve made it easy for you – Now you can start preparing for your aspired GATE Civil Engineering (CE) with MyProgressCard from anywhere, at any time. 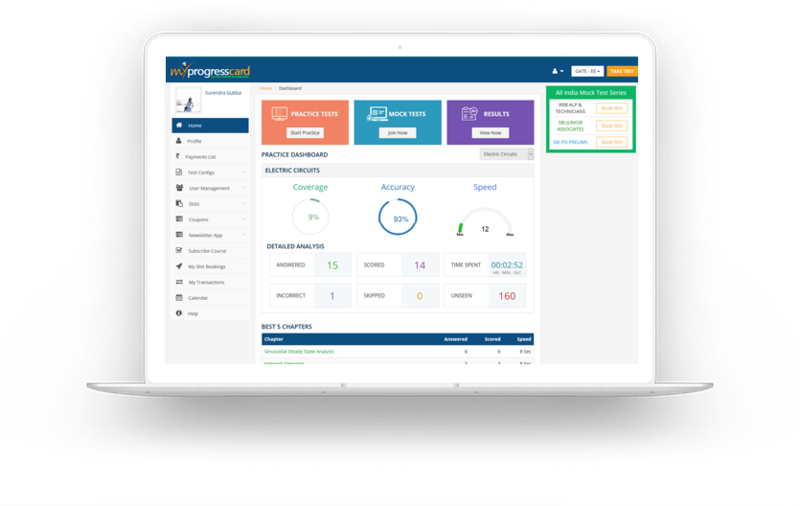 Enhance your GATE Score with detailed analysis and instant feedback system of MyProgressCard. Start Self-Learning & Self-Assessing today, absolutely for FREE. To ace Top score, practice should always go parallel with preparation. Start practicing rigorously from Anytime Anywhere to crack your aspired Civil Engineering (CE) 2018 Exam with MyProgressCard. Absolutely FREE! Stay confident and well-prepared before you face the actual Exam.